I’m going to be co-editing a special issue of the journal Business History with my frequent research collaborator Kirsten Greer. The theme of the special issue is the intersection of business and environmental history: all of the papers in the SI will look at the historical relationship between business and the natural environment. Because of my work on the special issue, I’ve been encouraged by the fact that Bartow Elmore’s new environmental history of the Coca-Cola company has generated extensive media attention. 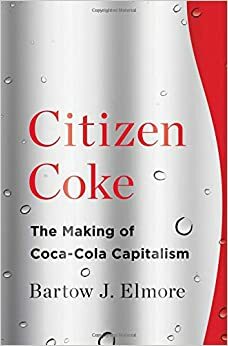 The degree of attention that has been paid to Citizen Coke is unusual for an academic book, especially one that is the author’s first major publication. Positive reviews of the book have appeared in the Wall Street Journal, the New York Times, and the Business Standard. [The Business Standard review faults the book on stylistic rather than for content]. A more critical but nevertheless thoughtful review appeared in Columbia Daily Tribune. The review published in the WSJ is favourable, which is impressive given that Elmore’s book is hardly compatible with the ideological agenda of that newspaper. The book has also been described in media sources ranging from the Daily Mail, a middlebrow UK newspaper to the Huffington Post to Bloomberg Radio. The book has also been cited in the debates about whether to levy special taxes on sugary foods. You can listen to Elmore talk about his research here. You can watch him here. Anyway, the interest that Elmore’s book has generated has convinced us that our Special Issue on Business/Environmental History will be of use to a wide variety of academics.